Here's a nice way to close out the year. 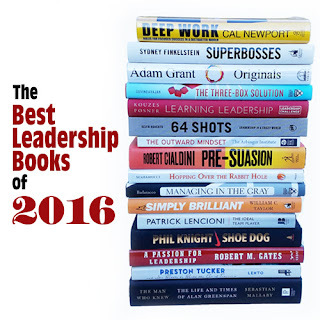 64 Shots features in Leadership Now's best books on leadership for 2016. Here's the full line-up. Make 2017 a big one for leaders at all levels. To thrive in the new economy—the current information economy—you need to master these two core abilities: 1. The ability to quickly master hard things; and 2. The ability to produce at an elite level, in terms of both quality and speed. Although Superbosses may differ in leadership styles, they share a playbook that leads to extraordinary success founded on making other people successful. Adam Grant demonstrates how originality, can and should be taught and nurtured. Anyone can innovate if given the opportunity and the support. Ultimately our future is not in linear—incremental—improvements. It is in nonlinear—nonconforming, breakthrough—change. 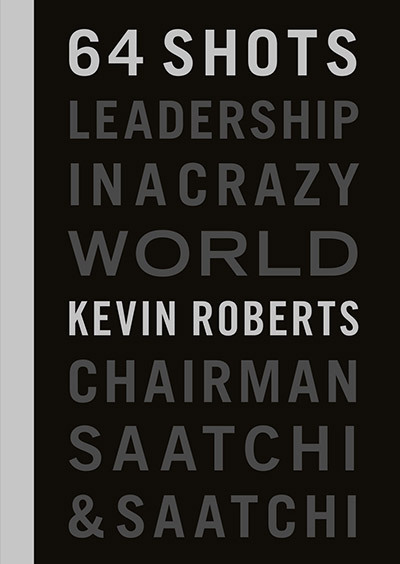 Learning Leadership is a comprehensive guide to unleashing the inner-leader in us all and to building a solid foundation for a lifetime of leadership growth and mastery. The punchy insights into winning - hitting readers lightly jab after jab - are an array of one-liners, sound bites, tweets, charts, quotes and historical reference points. The Outward Mindset enables individuals and organizations to make the one change that most dramatically improves performance, sparks collaboration, and accelerates innovation—a shift to an outward mindset. So much of successful entrepreneurship is learning to lead yourself. More than anything it means always pressing forward and a good dose of creativity especially when things don’t look good. Managing in the Gray: Five Timeless Questions for Resolving Your Toughest Problems at Work by Joseph L. Badaracco Jr.
Five questions we should be asking to resolve the inevitable gray areas we will all face from time to time. Gray areas demand our best judgment. The five questions provide a way to get there. In a time of wrenching disruptions and exhilarating advances, of unrelenting turmoil and unlimited promise, the future is open to everybody. The thrill of breakthrough creativity and breakaway performance can reimagine what’s possible in their fields. Whether you’re a leader trying to create a culture around teamwork, a staffing professional looking to hire real team players, or a team player wanting to improve yourself, this book will prove to be as useful as it is compelling. We are in our Carefree, Arizona home for a Cowboy Christmas. Last night was a sing-song around the fire with two elves, grandkids Kendall and Cameron who livened up the evening with two Christmas chestnuts. We wanted to share their love and festive holiday spirit with you. Online shopping is on a roll. Today around eight-in-ten Americans are online shoppers. 79% have made an online purchase of any kind, 51% have bought on a cellphone and 15% have purchased by following a link from social media sites. These are among the findings of an interesting survey from Pew on how new technologies are impacting a broad range of Americans’ commercial behaviors. Back in the first Pew online shopping survey of 2000, only 22% of Americans had made a purchase online. The story within the story, is that human fundamentals remain just that. What stands out is that US shoppers still prefer physical stores. All things being equal , almost two thirds of US consumers prefer to visit physical stores. 20% report never shopping online, 15% say an e-commerce purchase happens weekly, 28% report buying online a few times each month, and 37% less often. Looking beyond this, technology is a game changer, price is a pretty big deal, and your phone is pretty smart. When considering a purchase, around two thirds Americans typically compare the in-store price with the online price – and pick the cheapest. About one fifth say they would buy from stores without checking prices online. 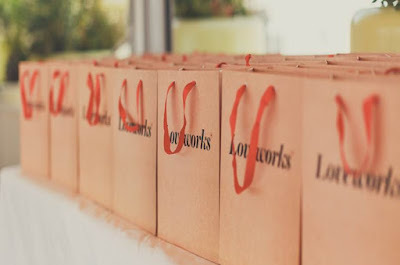 About one seventh would typically buy online without checking prices at physical stores first. Notable is that half of U.S. adults under 50 routinely check online reviews before buying new items, even though many are concerned whether these reviews are trustworthy. In the physical shopping environment, the mobile is a magic multitasker. Pew: 59% of US consumers use it in a physical store to call or text to talk over a purchase, 45% research reviews or other product info. Another 45% search online for cheaper, and 12% use their mobile to buy in-store. The future of shopping is coming around the corner. It’s a fun fest of format variations where convenience, cost and customization meet touch, and care and warmth. The trick for retailers is to find the sweet spots. Many years ago – 1999 – I spoke to the clergy of the Christchurch Diocese in St Peter’s Anglican Church, Parish of Upper Riccarton-Yaldhurst, the oldest stone church in Christchurch, New Zealand. I was invited to talk about the relevance of spirituality in contemporary life, whether religions – churches – can be viewed through a brand matrix – and how to reverse declining congregations. St Peter’s church was consecrated on Easter Sunday, 1858. Its graveyard is the resting place of Nurse Maude, John Ballantyne, William Moorhouse, Sir Henry Wigram and many other notable Cantabrians. St Peter’s plays a significant role in the community, and is connected with around a dozen community groups. The 2010 and 2011 Christchurch earthquakes severely damaged the church, and worship has not been possible since. Good news! Fundraising and restoration of this beautiful and beloved site is underway, and it is now consented to be repaired, strengthened, and some helpful additions provided. Support of course is needed and there are some cool ways to help, from buying artwork to the ‘Living Stones’ campaign to rebuild this special place: there will be some new blocks and stones which you can purchase in your own name or that of a loved one. Furthermore, via a map, you can find your block or stone in the restored church at any time. Following a donation, you will be automatically sent a tile to upload and share on Facebook encouraging others in your network to support the project. The church provides support and care to some of the most vulnerable community members via Petersgate, a counselling service run out of St Peter’s in conjunction with the Parish. Statistics consistently show that since the 2010/2011 earthquakes the need for services like this has been on the rise in the region. St Peter’s Anglican Church plays a significant role in the community. Join this worthy and wonderful movement here. Christmas looming… my favorite gift for giving – ‘The Beatles Lyrics’ by Hunter Davies. The stories behind the songs of the greatest band ever. The soundtrack of baby boomers lives everywhere. Brilliantly put together and commentated by a man who was there, a Beatles (and Football!) obsessive, a humorist, and a friend. Carlisle’s own Hunter Davies. Buy it for Dad now (and read it yourself too). ‘No lines, no checkout. (No, seriously. 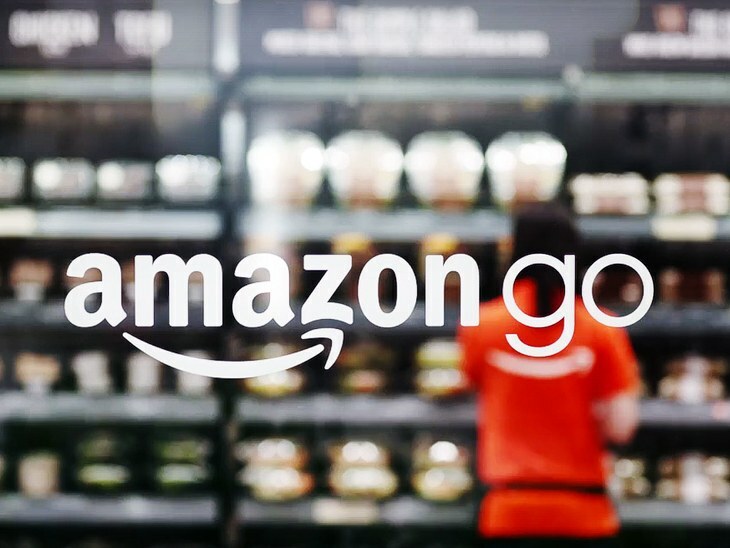 )’ I like where Amazon is headed at it punches further into bricks-and-mortar retail with its Grab-and-Go grocery experience, Amazon Go. It’s a store with no checkout required. An app on your smart phone along with technology (computer vision, sensor fusion, and deep learning) take care of that. You scan the app to enter the store, take what you need, and just leave. Technology automatically tracks everything in or out of your virtual cart. Pick something up, it’s in. Put something back, it’s out. When you leave the store, technology adds up your virtual cart and your Amazon account is charged. A receipt will be sent to the app. See how Amazon Go works. Questions such as handling shoplifting and monitoring age for alcohol purchases are still to be answered. The concept is currently in beta in Seattle with Amazon employees, and will open to the public in 2017. Technology continues to disrupt retail and, every now and then, it makes things easy, timely and fun. This ‘Just Walk Out Shopping’ feels like tech working as it really should. How many times have you aborted a grocery dash because it’s rush hour in the supermarket and lines are out the door? No more if Amazon continues in this direction. With an account, a smartphone and a free app you are in, out, rung up and cooking with gas. It’s another smart move from Amazon supremo Jeff Bezos as he serves up options and carves out the future. 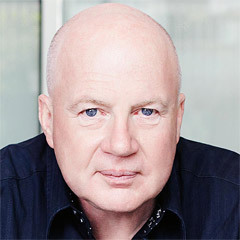 One of his leadership lessons is: "determine what your customers need, and work backwards." Take the pain points out of shopping and a retailer wins an instant fan base. Way to go. William Wordsworth (1770-1850) was one of the most influential Romantic poets. He was born in Cumbria and in 1799 he settled at Dove Cottage in Grasmere where he wrote his most famous poem ‘I Wandered Lonely as a Cloud’ in 1804. Just as efforts are getting underway to promote literary tourism in the Lake District, the National Grid are planning to fill the clouds with 150 foot electrical pylons, fencing in a 3.5km stretch in the Whicham Valley, just 10 metres from the Lake District Park's legal boundary. The line of pylons will also run right across the top of the Duddon Estuary interrupting stunning views into and out of the high fells of the Lake District, scarring a cherished landscape steeped in history. Friends of the Lake District are urging local people to take part in a consultation which ends on the 6th of January. Take inspiration from the protesters of the South Dakota pipeline. The people of Cumbria have accepted nuclear power plants in the region that form a key element of the UK’s national electricity grid. We will not accept, however, the industrialization of our revered landscape that is enjoyed by millions of Britons and international travelers. I’ve had the honor of addressing many and varied audiences in some of the world’s most stunning buildings including The Royal Albert Hall, the British Museum and the O2 Arena in London, Radio City Music Hall and The Waldorf in New York, The Ritz in Paris, the Hall of Sciences in Vienna, the Palais des Festival in Cannes, and the Casa da Música in Porto. My first speaking engagement of 2017 will see me address the cream of the UK’s business and marketing community as a guest of Beattie – The Creative Communications Group - at London’s famous Reform Club, founded in 1836 as a forum for the radical ideas that the first Reform Bill represented. Designed by renowned English architect Sir Charles Barry, best known for his role in the rebuilding of the Palace of Westminster, the club’s palatial Italian interior, based on the Palazzo Farnese in Rome, can still be enjoyed to this day in all its glory. As well as having many noteworthy members throughout the years including William Makepeace Thackeray, Arnold Bennett, Sir Arthur Conan Doyle and H.G. Wells, Sir Winston Churchill was said to have conducted many incognito cabinet meetings in the club’s secret chambers. The club has appeared throughout popular culture and literature including Jules Verne’s Around the World in Eighty Days and in films such as Miss Potter, Quantum of Solace and Sherlock Holmes. Madonna famously filmed the fencing scene in her music video for Die Another Day in the stunning reception hall and staircases. A few places remain for my talk at the event at 2pm on Wednesday 11th January 2017 in the stunning library at The Reform Club on Pall Mall. If you are interested in attending email Elspeth at: events@beattiegroup.com. Worldwide retail sales hit $24 trillion last year, not exactly small beer. The massive retail business is switching on technology and is changing so fast that analysis is always chasing reality. That doesn’t it mean it shouldn’t try, and IDC have some useful signposts for retailers in its top 10 predictions for worldwide retail 2017. How technology and emotionality come together with a human touch is the key. Is it convenient and compelling, intimate and inspiring? Retailers need to be irresistible, not robotic, across all four consumer touch points: See it; Search it; Shop it; Share it. The global Rugby community came together last Thursday in the Winter Marquee on Finsbury Square in the heart of the City of London. 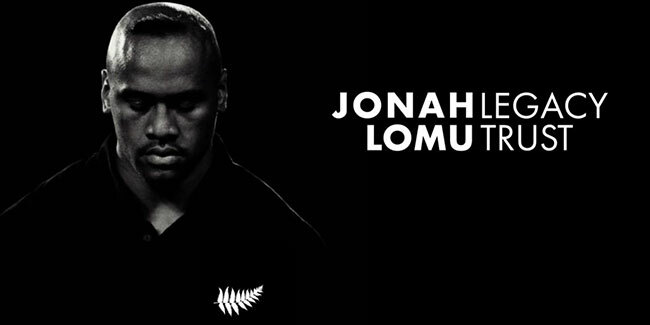 The Legacy Trust set up in NZ to provide for Jonah’s two young sons, had the foresight and courage to put on an event in London, believing that Jonah’s impact on the game transcended one country and was universal. And they were right. 1000 guests attended the black tie occasion honouring Jonah who tragically passed away a year ago. Ex-England lock Martin Bayfield MC’d, and was joined by Zinzan Brooke, Justin Marshall, Ali Williams, Anton Oliver, Jonny Wilkinson, Martin Johnson, Schalk Burger, Neil Back, Michael Lynagh and many other Rugby Legends. I hosted a table for four Lancaster Royal Grammar School students, three teachers and Old Lancashian father and son Brian (ex-England Coach) and Tony (ex-England video analyst) Ashton. What a night. Eddie Jones and Dylan Hartley took time off before their game vs Australia and spoke warmly about Jonah; a man who transcended Rugby, as Pelé did soccer, Michael Jordan did basketball, Wayne Gretsky did hockey, Mohammed Ali did boxing, and Tiger Woods did golf. The evening raised over £250,000 for Jonah’s sons.